Currently, you can only link a contact to a single account. Sometimes, a single contact may belong to multiple accounts -- it would be helpful to be able to link that single contact to multiple accounts -- rather than having to create a duplicate contact for each account, which is time consuming and results in duplicate contacts to manage. Contacts to Multiple Accounts (fka Shared Contacts) is now generally available as of the Summer 16 release! 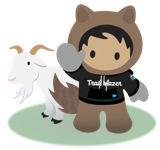 You can find more information in the Release Readiness & Feature Adoption and Salesforce People chatter groups in the success community. I really need to know how to block this. We already have problems with users assiging account contact roles and case contact roles from other accounts with no relationship to the current one; this change is going to multiply that problem. In real life one contact can work for multiple accounts, so please reflect real life in your database model. Thanks! I see it's now in my Summer '16 sandbox! however.... if I can't add a custom lookup field to this new feature, it is still useless to me. Is this likely to happen in the full production version? you'll find what you are looking for in the release notes. It's that easy: Setup --> Account Settings --> turn the feature on. I'm currently using the summer 2016 release and I still can't find how to do these. I can't find any documentation. Can you please give me a link? I hope if this is implemented it will include an admin setting to disallow it. Hi Cari, is it still on for Summer 16 release? And when exactly would that be? I am about to setting up salesforce right now for a non-profit (NPSP is not the option as they have an events branch as well). Preferably I wouldn't want trying to setup my own affiliation object but can't wait long as we have a tight schedule for the setup phase. This would be greatly useful! We have so many situations where one contact belongs to multiple accounts. This really should have been implemented years ago! For NPSP Affiliations is very helpful but we still have to create multiple relationships (ie. contact->account + contact->affiliation) It would be great if this were inherrent to the contact/account model so the contact/account linkage becomes less critical and easier to change/manage. Hope this helps to remove the junction objects between accounts and contacts for many orgs. Will this functionality also be supported in communities? We have a lot of IT Managers that support multiple locations for large companies/franchises. The IT Manager needs to be a contact on all of the accounts, and we'd like that person to be able to open cases for all of their associated accounts through the portal. In some cases, an IT Manager may support over 100 locations. We don't want to set that person up as 100 contacts and we definitely can't have him use 100 different logins to the community. He needs a comprehensive view of all of his cases, across all of the companies he is associated too.